I was wondering if you all knew anything about these old suppliers; why they went out of business, what other things did they sell, or who their audiences were. Some examples that come to mind are Murray and Nickell (MFG Co.) and Allaire Woodward and Co. I've read it, but thanks! I was looking for specific information about the companies I've mentioned. So strange how they have seemed to disappeared into thin air! 1) The passage of the Pure Food and Drug Act of 1906 put a lot of pressure on herb vendors to keep their products pure, which was a good thing, but the agency that enforced the law -- the Food and Drug Administration -- seemingly colluded with large pharmaceutical corporations to drive a lot of small-time manufacturers of herbal teas, tonics, and poultices out of business. These intermediary manufactories were the largest customers of the herbal growers. When the Volstead Act ("Prohibition") was passed in 1919, the makers of herbal tonics were completely cut off from supplies of alcohol, which had been deemed a "dangerous additive" in 1906) and this caused a definite shrinkage in the number of such manufactories, depressing the market for raw herbs. 2) At the same time, in the search for standardization of doses (another form of "purity," and not a bad idea), the large pharmaceutical companies began to market the isolated chemicals found in herbs as "active ingredients. The best known example of this is aspirin, isolated from Willow bark. Some of the refinement was accomplished by using the herbs as raw ingredients (called crude drugs), but increasingly the "white tablets" and "convenient capsules" became purely a product of the synthetic chemical industry, and herbs were not always needed to craft the "active ingredients. This led the entire herbal medicine industry to crash and burn. One of the few survivors was Parke-Davis, which made a successful transition from herb packager to chemical manufacturing company. The others were simply not so lucky or were not s inclined. By the 1940s, herbal medicine was considered to be quaint, rural, rusticated, and old-fashioned. 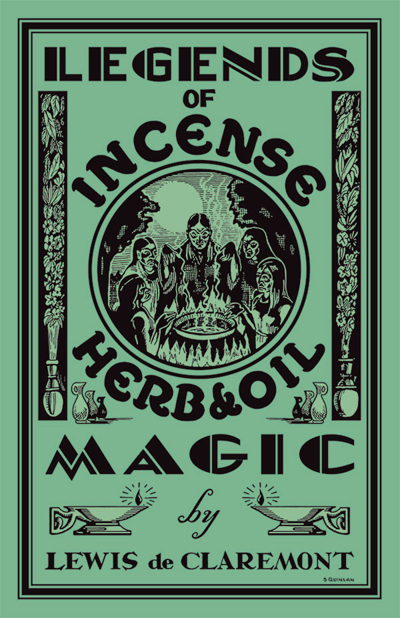 One of the early herb suppliers to hoodoo practitioners was the Oracle Products Co. This may be of interest to those with an interest in old Oracle advertising art, as much of it is included herein. 96 pages, $9.00. on sale to the world! Not all of them have completely disappeared -- Lucky Heart still exists in Memphis. Hi, MemphisRoots -- and welcome to our forum! Yes, Lucky Heart still exists. They distributed herbs and they did manufacture spiritual supplies, especially before 1950. Lucky Heart is a notable company, with an admirable history, and was the chief funder of the purchase of Lorraine Motel and its conversion to a civil rights museum. However, it is important to note that Lucky Heart primarily sells cosmetics now -- which was always part of the company's mix -- and has moved away from outright occult, metaphysical, and spiritual supplies. You can read a great write-up on the history of the Lucky Heart company in Carolyn Morrow Long's book "Spiritual Merchants." For those with a further interest in old-time hoodoo herb and hoodoo product suppliers and vintage advertising art, my new book, "The Art of Making Mojos," contains four pages of vintage illustrations of ads for mojo hands from the Oracle Products Co, King Novelty Co., Famous Products, J. C. Strong, and Sovereign Products. Artists include Charles C. Dawson, Charles M. Quinlan, J. C. Strong, and a couple of Unknown Artists.